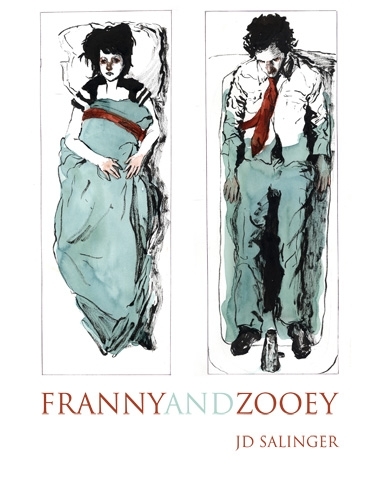 Continuing my foray into literature, I’ve begun reading Franny and Zooey by J.D. Salinger (mostly because it’s on the shelf, Alan Noble is a Salinger fan, and I don’t feel like picking up Cormac McCarthy yet). Of course, this is a huge change of pace from Austen. It’s a different air we’re breathing–much smokier and angst-ridden. As a college pastor only a few years out of school myself, in some ways it’s all a bit too familiar. All the same, I’ve found it illuminating and enjoyable. But not in phony way. You see, while everyone is a theologian of sorts, there are others–pastors, and theology students, usually–who become “theologians” in the technical sense. They set aside time in their lives, to study, grow, and become experts, knowledgable in their fields. They become familiar with the names, the history of theological discussion, the important categories, and so forth, that go along with that. As you might expect, in the course of things they develop opinions, convictions, passions, likes, and dislikes just as other men and women do. Expertise in any field will produce that and that’s fine. We should be sure, though, that we do not turn in a “section men”, or “section women.” Theology students pursue these activities and specialized knowledge in order to know, love, serve and worship God, as well as to equip and prepare the church to know, love, serve, and worship God. But this is not for our own name or prestige as an expert. It’s not for nothing the old theologians used to say theology was impossible without prayer. Attempting to study theology without prayer is a contradictory endeavor. It’s attempting to learn and say something about the God upon whom all existence depends, all the while acting like you’ve arrived on your own steam. This can only lead to pride, self-justification, and other such folly. Pastors, theology students, and others of the general species homo theologicus, heed that counsel. Theology is only to be studied with prayer, otherwise, you may just look up from your textbooks one of these days and see a section man staring back at you in the mirror. A great reminder to me, thank you. I just started plans for self directed “seminary” / theological study, and I can’t hear this enough. 1 Corinthians 10:12. Have been following you for several months and am consistently encouraged by your thoughts. Solo Del Gloria in your ministry!